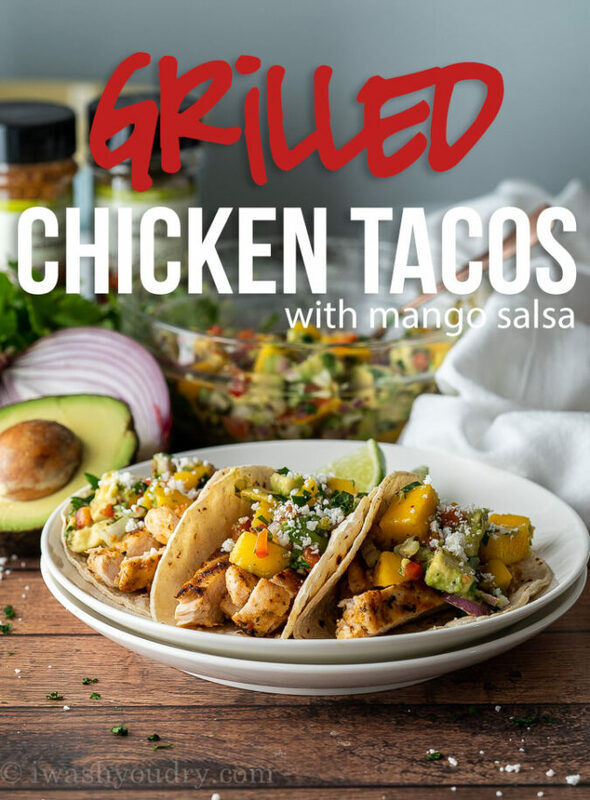 This super easy Grilled Chicken Tacos Recipe is perfectly seasoned chicken breast, topped with a delicious and fresh mango avocado salsa! I’m super excited to announce that I’ve recently partnered with Tastefully Simple! If you aren’t familiar with them, I suggest you take a look at their website and all their delicious products! 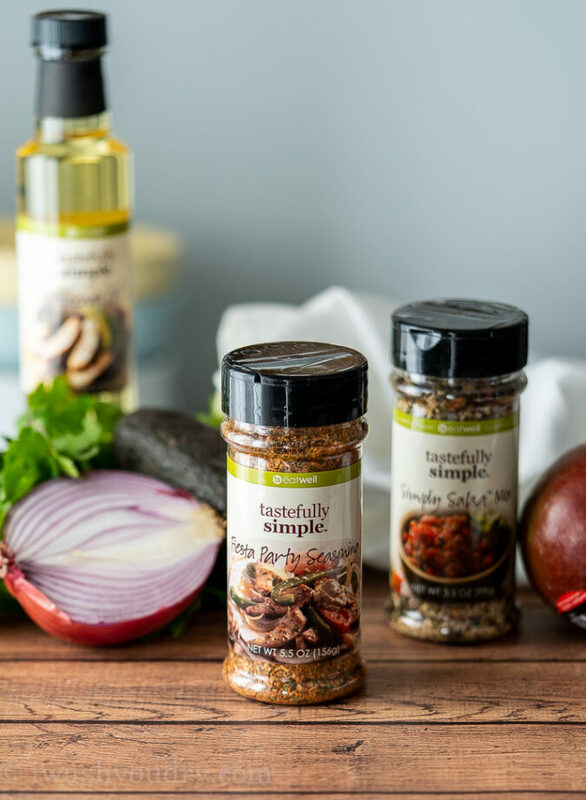 Tastefully Simple’s new seasonal line features high-quality, signature flavors and ingredients that create a wow for you and make your time in the kitchen so much more enjoyable. I took a sneak peek at their spring catalog and picked out a couple spices to give a try and HOLY SMOKES they are so good! 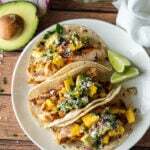 I decided to go with the Fiesta Party Seasoning, Simply Salsa Mix and their Avocado Oil for a tasty Grilled Chicken Taco recipe. 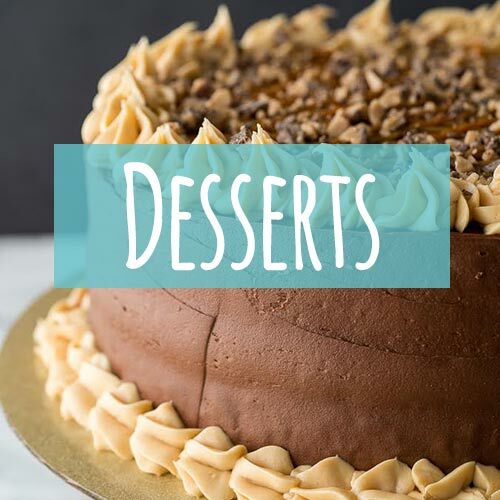 All three of these ingredients are used in this recipe, but are also so versatile that you can use them in so many applications and recipes! 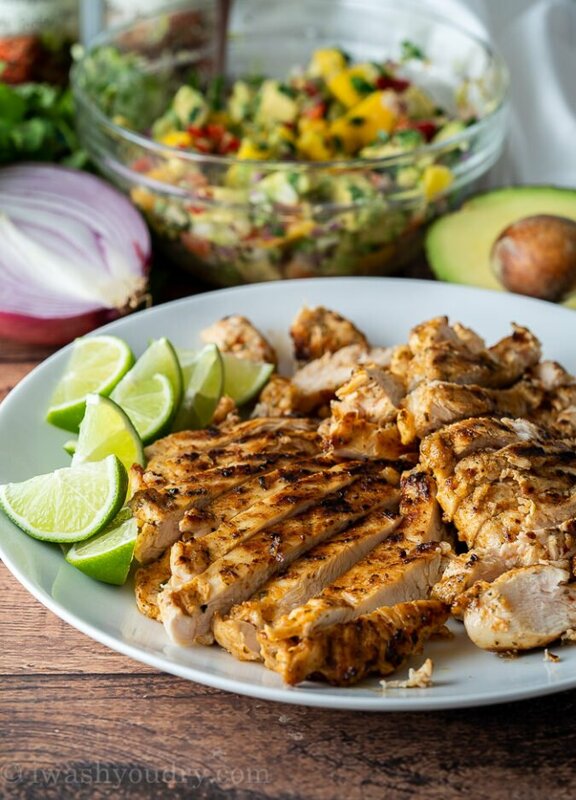 Start by marinating your chicken breast with some Tastefully Simple® Avocado Oil, Tastefully Simple® Fiesta Party Seasoning, a little salt, garlic powder and a squeeze of lime juice. You can cook your chicken on a grill pan, or out on the grill. Let the chicken breast rest under foil for 5 minutes before slicing into strips. 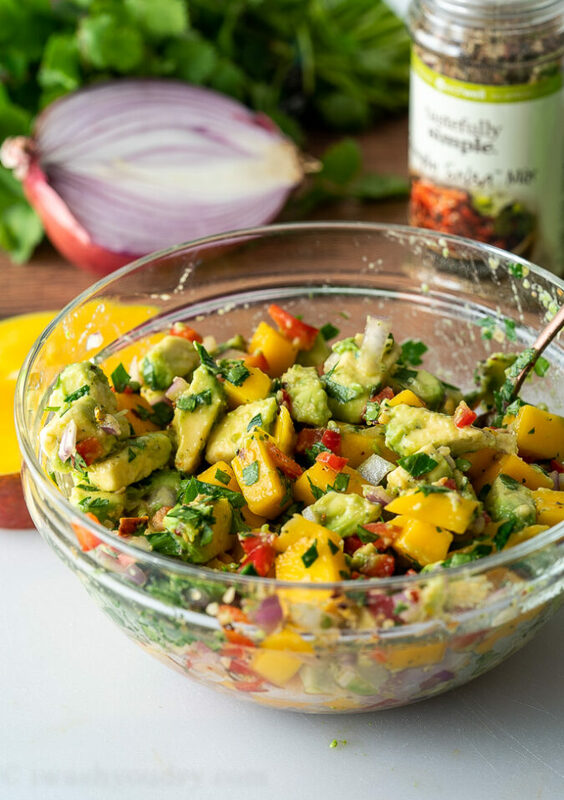 While the chicken is grilling you can go ahead and whip up some fresh mango-avocado salsa! Combine some diced red onion, red bell pepper, diced mango and avocado in a bowl. Season with fresh lime juice, garlic powder, a little salt, fresh cilantro and Tastefully Simple® Salsa Mix. 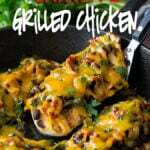 Stir to combine and serve over the grilled chicken! I have been using this Simply Salsa Mix in just about everything these past two weeks! The blend of seasonings smells so good, and it really brings lots of flavor to the recipe. One of my other favorite ways to use this mix is in beans! I’ve stirred it into a can of black beans and also pinto beans and it really adds so much great flavor! This recipe is killer with chicken, but would also taste amazing with a white fish or shrimp! If you’re trying to watch carbs, try eating this recipe over a bed of greens instead of tortillas. Swap out mango with fresh pineapple for a deliciously juicy variation! 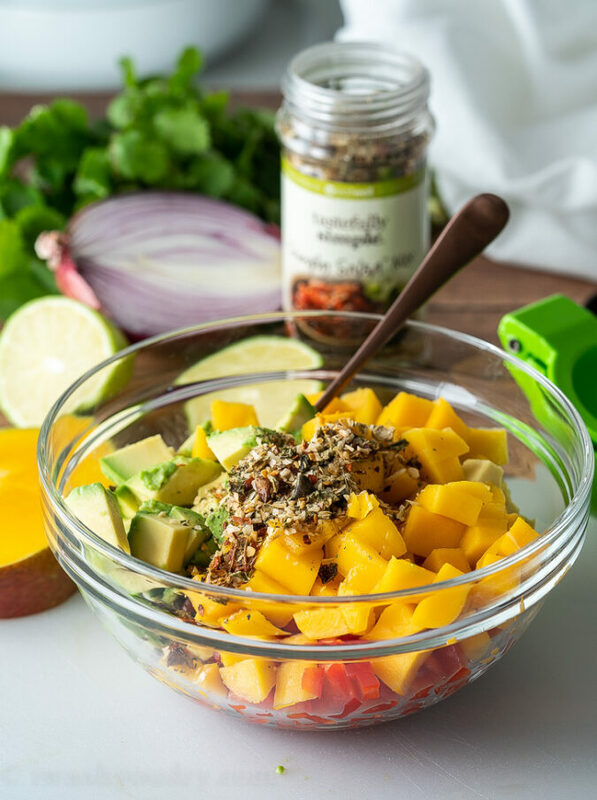 Try drizzling in a little honey to the mango salsa for a sweet kick. 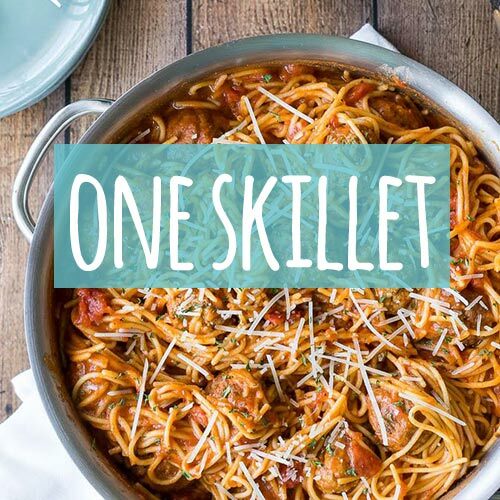 You’re going to LOVE how quickly this super easy weeknight meal comes together! 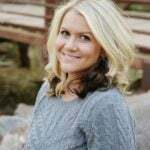 Don’t forget to check out Tastefully Simple’s website for all of their amazing and seriously delicious products, and use code: WASHDRY15 for a 15% discount! 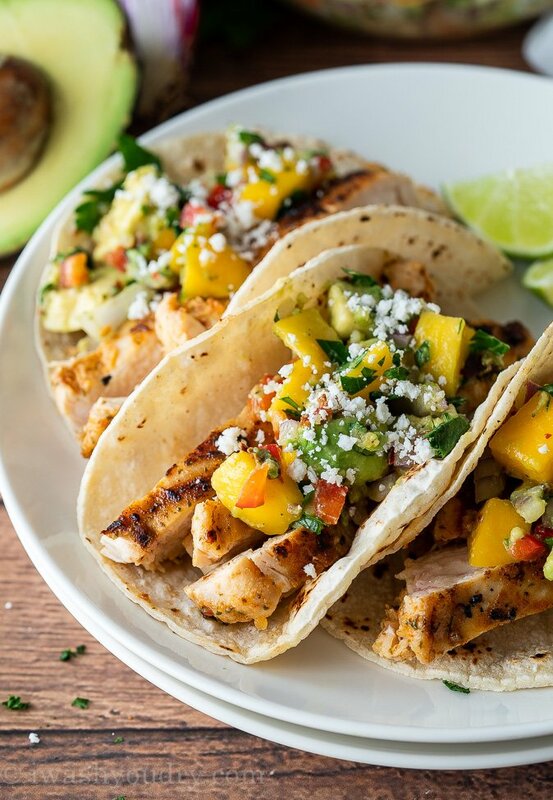 This super easy Grilled Chicken Tacos Recipe features beautifully seasoned chicken breast with a refreshing mango avocado salsa. Place the chicken breasts between two sheets of parchment paper and pound chicken to an even thickness. 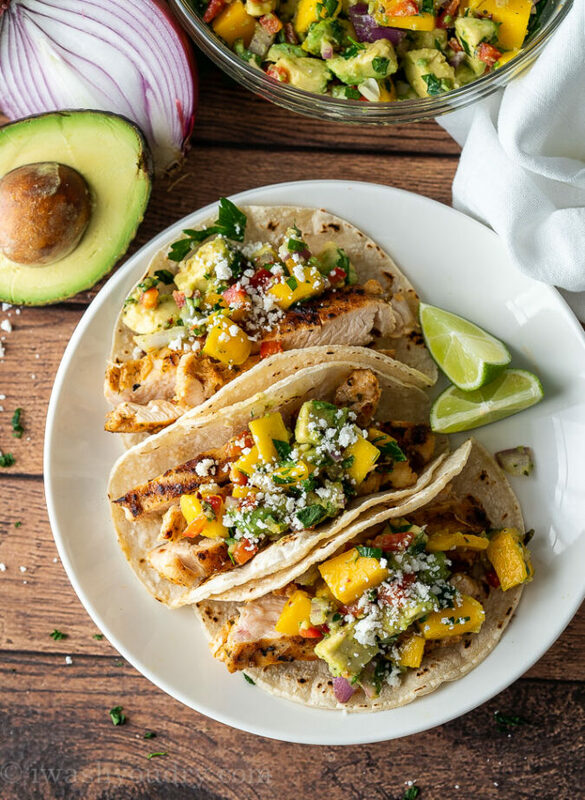 Place chicken in either a zip close bag or glass bowl and add the Avocado Oil, Tastefully Simple® Fiesta Seasoning, salt, garlic powder and lime juice. Stir to coat and let marinade for at least 10 minutes, up to 24 hours. Heat a grill pan over medium-high heat and brush pan with Avocado Oil to prevent chicken from sticking. 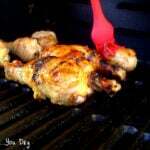 Grill on both sides, 3 to 5 minutes, or until chicken is cooked through. Let rest for 5 minutes under foil before slicing. Combine the ingredients for the salsa in a mixing bowl and stir to combine. Serve the salsa on top of the grilled chicken in the warmed up tortillas. Top with cotija cheese and enjoy! 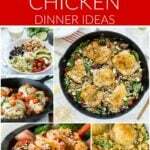 Feel free to substitute the grilled chicken with white fish, shrimp or steak! Can’t wait to give these a try! They look so good.